Martin Chuzzlewit is suspicious — and with good reason. His relatives think he's dying and they're flocking to his side from near and far in eager anticipation of inheriting his vast wealth. Their greed and selfishness has made him a misanthrope, and when he finds his namesake grandson romancing his ward, the old man's wrath drives young Martin off to America to seek his fortune. Already famous as the author of The Pickwick Papers and Oliver Twist, Charles Dickens declared this, his sixth novel, as "immeasurably the best of my stories." The scheming Mr. Pecksniff, the corrupt Mrs. Gamp, the criminal Jonas Chuzzlewit, and other vividly realized characters populate this powerful black comedy, which features a parody of American mores and manners inspired by the author's 1842 visit to the United States. 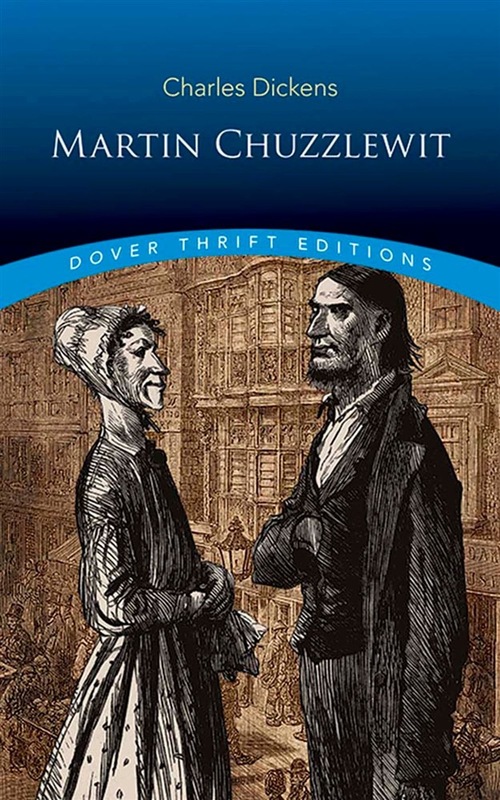 A captivating tale of hypocrisy and redemption, the novel is distinctive among Dickens' work for its combination of antic humor, searing satire, and lively melodrama. Acquista Martin Chuzzlewit in Epub: dopo aver letto l’ebook Martin Chuzzlewit di Charles Dickens ti invitiamo a lasciarci una Recensione qui sotto: sarà utile agli utenti che non abbiano ancora letto questo libro e che vogliano avere delle opinioni altrui. L’opinione su di un libro è molto soggettiva e per questo leggere eventuali recensioni negative non ci dovrà frenare dall’acquisto, anzi dovrà spingerci ad acquistare il libro in fretta per poter dire la nostra ed eventualmente smentire quanto commentato da altri, contribuendo ad arricchire più possibile i commenti e dare sempre più spunti di confronto al pubblico online.